If you are looking for a front door that’s welcoming, yet will be the envy of your neighbours, look no further than our beautiful composite front doors from Windows Xpress. These doors inherit incredible performance across the entire spectrum. 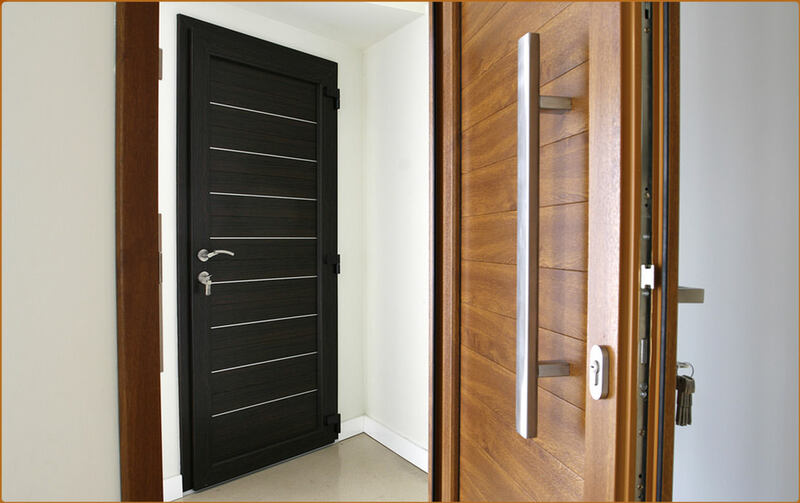 Secure, durable and thermally efficient, these doors offer outstanding quality. Our composite doors are great for creating the timeless looks of timber while retaining all the benefits of modern double glazing. Creating a beautiful style that’s highly customisable, there’s a composite front door to suit every home in Polegate. 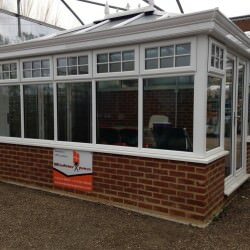 Windows Xpress has over 20 years in the double glazing industry and our team is highly experienced in providing the best quality products and the most efficient installations. 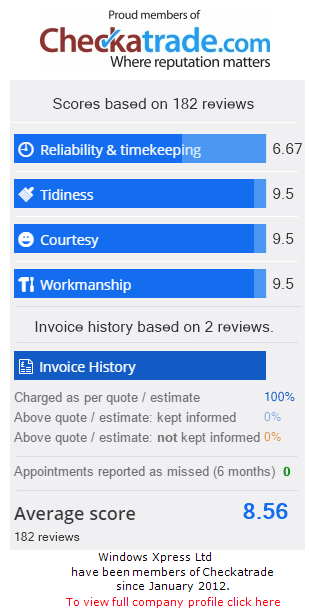 Fully Certass accredited, we have built a fantastic reputation over the years and hold a large client base of satisfied customers. Windows Xpress are committed to providing you with the home improvements you need at prices you can afford, and composite front doors that guarantee to be the highest quality and installed to perfection. Composite front doors from Windows Xpress are designed to faithfully replicate the classic aesthetics of timber double glazing, without the unfortunate downsides. Timber double glazing is prone to ageing particularly badly and over time will become draughty, less secure and increasingly difficult to maintain. 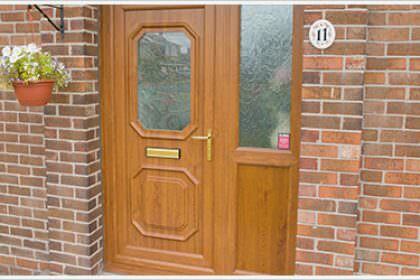 Our composite front doors, however, are built for durability. They will never need repainting and will never crack, warp or discolour, meaning they are a great investment that is built to stand the test of time. These doors are also incredibly low maintenance. To keep up the classic appearance of timber doors, it is necessary to sand, seal, paint and varnish them relatively regularly. Comparatively, composite front doors are extremely easy to maintain, as they require just a simply wash with a damp cloth once in a while to have them looking and performing like new. 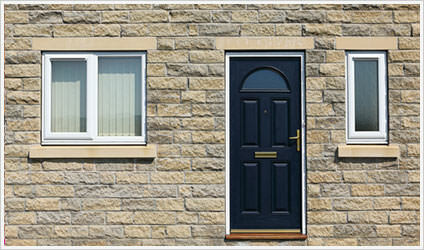 Windows Xpress composite front doors are designed to give your home incredible thermal performance. They are made using a solid core, which is coated in a robust and durable outer skin, that keeps our doors are highly insulated and suited to protecting your home. Our composite front doors flawless design means that they create an incredible thermal barrier, which is extremely good at keeping warm air trapped in your home while keeping out cold air and draughts. 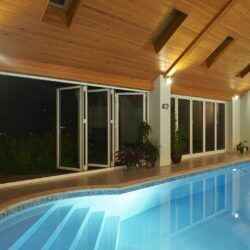 Our doors are the absolute definition of thermal efficiency. Now that your home is thermally efficient and will retain heat beautifully, you will not need to rely on your central heating as much during even the coldest winter days. This means that you will immediately begin to see the savings on your energy bill. These composite front doors are a great money saving investment! Made in complete compliance with the Building Regulations for thermal efficiency, these doors can even help you achieve a higher EPC rating. If you are ever looking to sell your home, an improved EPC can increase your home’s value substantially. When you are in the market for a new front door, naturally you want something with a great security system that protects your home. 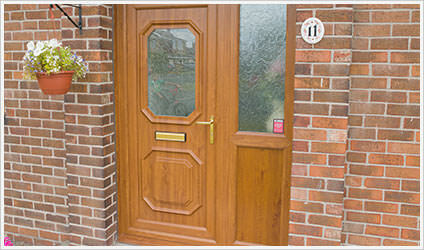 Composite front doors are built to provide that level of security. The solid core and robust skin of the door make them almost completely impenetrable and able to withstand even the strongest and most physically sustained attacks. To further support our doors, we fit them with top of the range locking systems. Our multipoint locking systems are incredibly secure to allow you the peace of mind that comes from knowing that your home is protected against even the most enterprising of intruders. Highly customisable by design, our composite front doors can be tailor made to suit your Polegate property. We offer a variety of different panel designs to ensure that every property, from the most traditional to the most contemporary, is catered for. We also offer a fantastic range of colour finishes and decorative glazing to ensure that we have a composite front door to suit every home in Polegate. If you would like to receive a free and instant online quote for one of our composite front doors please use our online quoting engine and we will have a competitively priced quote for you within minutes with no obligation to buy. If you would prefer to speak to a member of our team about any of our products, please contact us. a member of our team of experts would be happy to answer any questions you may have.